Congratulations to the 2015 Naval Academy Graduates! Liquified Creative would like to give a big congratulations to the U.S. Naval Academy Graduating class of 2015! Every year the The U.S. Naval Academy invites a special speaker to speak at the graduation ceremony –this year is Vice President Joe Biden — in addition to the Blue Angels performance. For clients visiting us during this exciting time, you may experience traffic delays and detours. Click here for a full PDF schedule and traffic information regarding the upcoming Blue Angel and Naval Academy events. During the Blue Angels practice and performance, the Naval Academy Bridge will be closed and congestion is expected on Route 450, Route 50, Roscoe Rowe Blvd., King George St., Annapolis St. and Taylor Ave. Please plan your trip accordingly and be safe! Once again, congrats to the graduates! 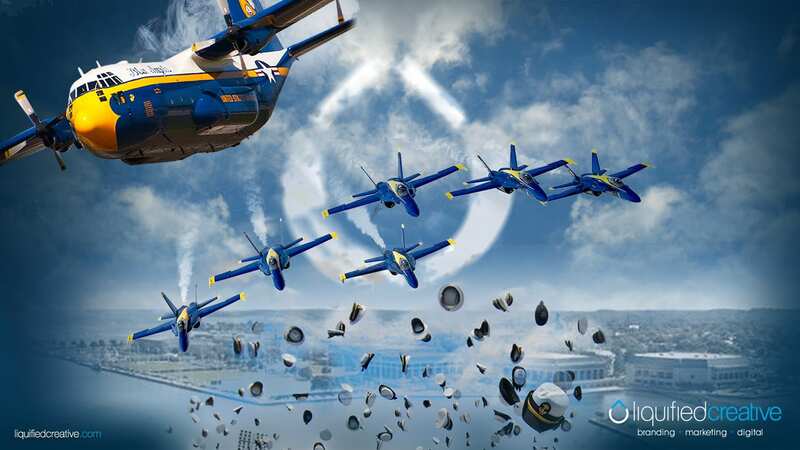 Don’t miss this year’s Blue Angels performance a practice day on Wednesday, May 20th in Annapolis, Maryland or the festivities that will take place throughout Commissioning Week.